Section 80C provides for a deduction of savings in specified modes of Investments form gross total income. It is available only to an Individual or HUF. The Maximum permissible deduction is Rs.1.5 lakh along with deduction u/s 80CCC & 80CCD. Premium paid on insurance on the life of the Individual or HUF. Sum paid under the contract for deferred on the life of the Assessee or his/her spouse or children. Sum deducted by the government from the salary of an employee for securing a deferred annuity for self, spouse or children. 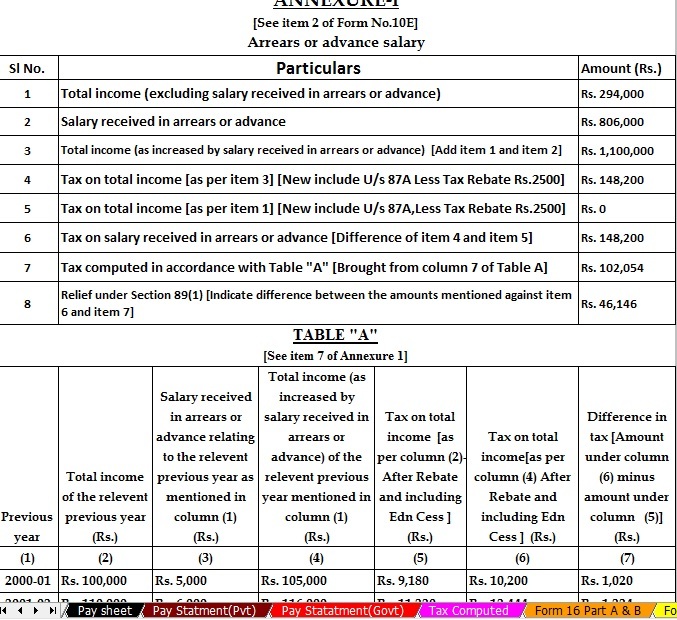 The sum so deducted should not exceed one-fifth of the salary. Contribution by an employee to Recognized Provident Fund. Contribution by an employee to an Approved Superannuation Fund. The contribution made to any Public Provident Fund set up by the Central Government. Subscription to any deposit scheme or contribution to any Pension fund set up by the National Housing Bank. Payment of Tuition fees by an Individual Assessee at the time of admission to any university, college, school or other educational institutions within India for the purpose of full-time education of any two children. Subscription to deposit scheme of Public Sector, engaged in providing housing finance. Subscription to units of Mutual funds notified u/s 10(23D). Sum deposited in Fixed Deposits (FDs) with tenure of five years. Sum deposited in 5 yrs Post Office Time Deposit (POTD) scheme. Contribution towards NPS by Employee[80CCD(1)]: Taxpayer is an individual and he is employed by the central government (on or after January 1, 2004), or employed by any other person or self-employed. He has in the previous year deposited any amount in his account under NPS. 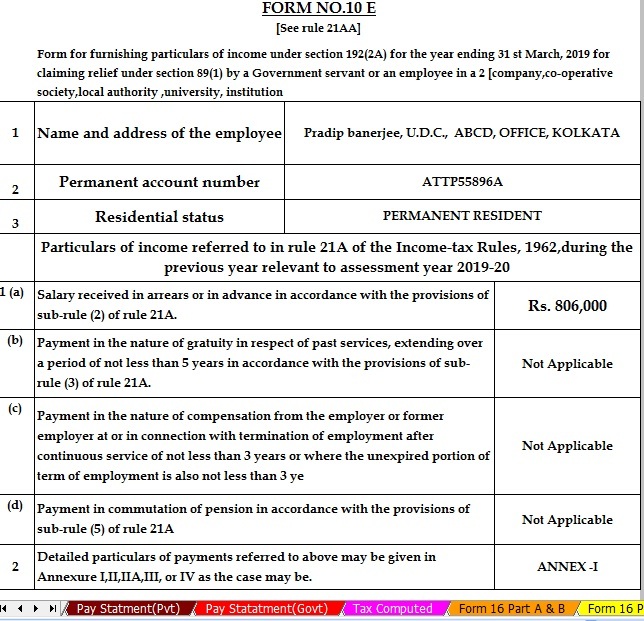 Under this, Employee is to contribute 10% of their salary or more and deduction is available under section 80CCD(1) which is restricted to 10% of the salary and for a person other than employee deduction is restricted to 10% of GTI. 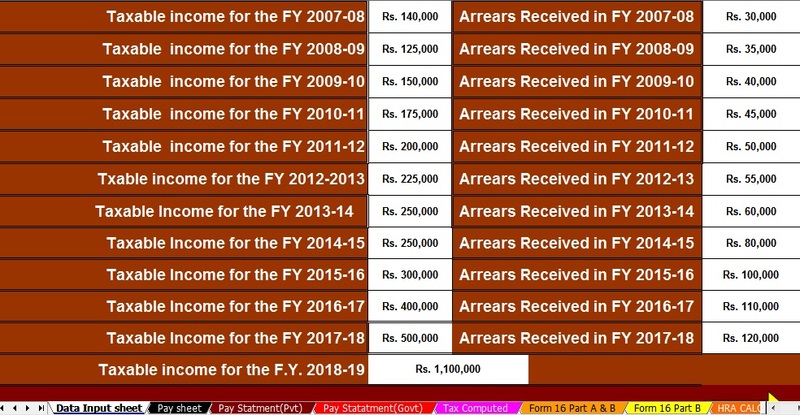 80CCD(1B) Taxpayer shall be allowed a deduction in the computation of his total income of the whole of the amount paid or deposited in the previous year in his account under a pension scheme notified by the Central Government, which shall not exceed fifty thousand rupees. Contribution towards NPS by Employer [80CCD(2)]: Contribution by the employer to NPS is deductible under section 80CCD(2) in the hands of the concerned employee in the year in which contribution is made. However, no deduction is available in respect of employer’s contribution which is in excess of 10 per cent of the salary of the employee. The Limit for maximum deduction available u/s 80C, 80CCC, 80CCD (combined together) is Rs.1.5 Lakh only. Assessee gets an additional deduction of 50,000 if he makes the investment in NPS scheme notified by the Central Government. This means the Limit for maximum deduction available u/s 80C, 80CCC, 80CCD+80CCD(1B) is Rs. 2 Lakh. Tax Benefits of Rajiv Gandhi Equity Savings Scheme (RGESS) under section 80CCG has been withdrawn. However, if you have claimed this deduction in current FY 2016-17, you can claim the deduction for the next two Financial Years too. This Section provides for a deduction of Rs. 25,000 in respect of premium paid towards a health insurance policy for the Assessee or his family (spouse and dependent children) or any contribution made to the Central Government Health Scheme in aggregate and a further deduction of Rs. 25000 is allowed of premium paid in respect of health insurance policy for parents. 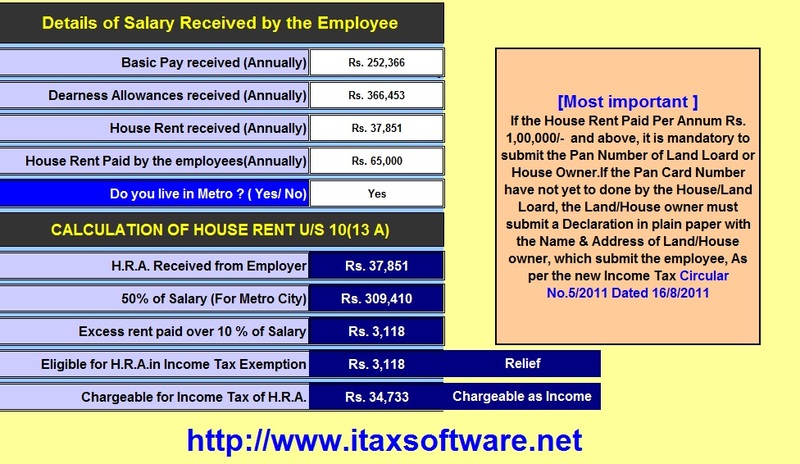 An increased deduction of Rs. 30000 is allowed in case any of the persons mentioned above are senior citizens (i.e. of age 60 years or above). It has been proposed by finance bill 2018 that the upper limit of this increased deduction should be raised to Rs. 50,000. Further, it is provided that for claiming such deduction u/s 80D the payment must be by any mode other than cash. Further Deduction of Rs. 5000 shall be allowed in respect of payment made on Account of preventive health check-up of self, spouse, children or parents made during the previous year. For claiming this deduction payment can be by any mode including cash. Section 80D, inter-alia, provides that a deduction up to Rs 30,000/- shall be allowed to an assessee, being an individual or a Hindu undivided family, in respect of payments towards annual premium on health insurance policy, or preventive health check-up, of a senior citizen, or medical expenditure in respect of very senior citizen. It is proposed to amend section 80D so as to raise this monetary limit of deduction from Rs 30,000/- to Rs 50,000/-. In case of single premium health insurance policies having the cover of more than one year, it is proposed that the deduction shall be allowed on a proportionate basis for the number of years for which health insurance coverage is provided, subject to the specified monetary limit. These amendments will take effect, from 1st April 2019 and will, accordingly, apply in relation to the assessment year 2019-20 and subsequent assessment years. It provides for a deduction to an Assessee being an individual or HUF who is a resident in India. Deduction of Rs. 75,000 is available in respect of any Amount paid for the medical treatment (including nursing), training and rehabilitation of a dependent, or any amount paid or deposited under a scheme framed in this behalf. In case of severe disability (i.e. a person with 80% or more disability), the deduction of Rs. 1,25,000 shall be available. To claim this deduction, you have to submit FORM NO. 10-IA. Dependent means In the case of an Individual the spouse, children, parents, brothers, sisters, of the individual and in the case of HUF, any member who is wholly dependent on the assessee. The deduction of Rs. 40000 or Amount actually paid whichever is less shall be allowed to an Assessee who is resident in India being an Individual or HUF. The deduction shall be allowed of any amount paid for the medical treatment of such disease or ailment as may be specified in the rules. Section 80DDB of the Act, inter-alia, provide that a deduction is available to an individual and Hindu undivided family with regard to the amount paid for medical treatment of specified diseases in respect of very senior citizen up to Rs 80,000/- and in case of senior citizens up to Rs 60,000/- subject to specified conditions. It is proposed to amend the provisions of section 80DDB of the Act so as to raise this monetary limit of deduction to Rs 1,00,000/- for both senior citizens and very senior citizens. This amendment will take effect, from 1st April 2019 and will, accordingly, apply in relation to the assessment year 2019-20 and subsequent assessment years. FIRST TIME HOME BUYERS CAN CLAIM AN ADDITIONAL TAX DEDUCTION OF UP TO RS 50,000 ON HOME LOAN INTEREST PAYMENTS U/S 80EE. THE BELOW CRITERIA HAS TO BE MET FOR CLAIMING TAX DEDUCTION UNDER SECTION 80EE. · The home loan should have been sanctioned during/after FY 2016-17. · Loan amount should be less than Rs 35 Lakh. · The home buyer should not have any other existing residential house in his name. If you take any loan for higher studies (after completing Senior Secondary Exam), tax deduction can be claimed under Section 80E for interest that you pay towards your Education Loan. This loan should have been taken for higher education for you, your spouse or your children or for a student for whom you are a legal guardian. Principal Repayment on educational loan cannot be claimed as the tax deduction. There is no limit on the amount of interest you can claim as the deduction under section 80E. The deduction is available for a maximum of 8 years or till the interest is paid, whichever is earlier. W.e.f F.Y. 2017-18, the limit of deduction under section 80G / 80GGC for donations made in cash is reduced from current Rs 10,000 to Rs 2,000 only. · Rent paid minus 10 per cent of the adjusted total income. · Rs 5,000 per month. · 25 % of the total income. · Any sum paid to an Association or Institution which has, as its object, the undertaking of any programme of Rural Development to be used for carrying for carrying out any programme of Rural Development. · Any sum paid to Research Association which has, as its object the undertaking of research in Social Science or Statistical Research. · Any sum paid to Public Sector company or a local authority for carrying out any eligible project or scheme. · Any sum paid to Rural Development fund. · Any sum paid to National Urban Poverty Education Fund (NUPEF). Sub-section (2A) has been inserted which provides that no deduction shall be allowed in respect of donation of any sum exceeding Rs. 10000 unless such sum is paid by any mode other than cash. This provides of deduction of any sum contributed in the Previous Year by an Indian Company to any Political Party or an Electoral Trust. From the assessment year 2014-15, no deduction shall be allowed in respect of any sum contributed by way of cash. This provides for deduction of any sum contributed in the Previous Year by any Person to a Political Party or an Electoral Trust. It will not be available to a Local Authority and an Artificial Judicial Person. No deduction shall be allowed in respect of any sum contributed by way of cash. Deduction from gross total income of an individual or HUF, up to a maximum of Rs. 10,000/-, in respect of interest on deposits in savings, account with a bank, co-operative society or post office can be claimed under this section. Section 80TTA deduction is not available on interest income from fixed deposits. It has been proposed to insert a new provision to allow deduction of up to Rs. 50,000 to the senior citizen who has earned interest income from deposits with banks or post office or co-operative banks. Interest earned on saving deposits and fixed deposits both shall be eligible for deduction under this provision. Deduction under Section 80TTA shall not be available to senior citizens in respect of interest on saving deposits. At present, a deduction up to Rs 10,000/- is allowed under section 80TTA to an assessee in respect of interest income from savings account. It is proposed to insert a new section 80TTB so as to allow a deduction of up to Rs 50,000/- in respect of interest income from deposits held by senior citizens. However, no deduction under section 80TTA shall be allowed in these cases. This amendment will take effect from 1st April 2019 and will, accordingly, apply in relation to the assessment year 2019-20 and subsequent assessment years. It is also proposed to amend section 194A so as to raise the threshold for deduction of tax at source on interest income for senior citizens from Rs 10,000/- to Rs 50,000/-. This amendment will take effect, from 1st April 2018. It is proposed to allow a standard deduction of up to Rs 40,000/- or the amount of salary received, whichever is less. Consequently, the present exemption in respect of Transport Allowance (except in case of differently abled persons) [Rs 1600*12=Rs 19200] and reimbursement of medical expenses [Rs 15000] is proposed to be withdrawn. Section 16, inter-alia, provides for certain deduction in computing income chargeable under the head “Salaries”. it is proposed to allow a standard deduction of up to Rs 40,000/- or the amount of salary received, whichever is less. Consequently, the present exemption in respect of Transport Allowance (except in case of differently abled persons) and reimbursement of medical expenses is proposed to be withdrawn. These amendments will take effect from 1st April 2019 and will, accordingly, apply in relation to the assessment year 2019-20 and subsequent assessment years. To promote agricultural activities a new section 80PA is proposed to be inserted. This new provision proposes 100% deductions of profits for a period of 5 years to farm producer companies who have a total turnover of up to Rs. 100 crores during the financial year. The marketing of agricultural produce grown by its members. The purchase of agricultural implements, seeds, livestock or other articles intended for agriculture for the purpose of supplying them to its members. The processing of the agricultural produce of its members. Section 80P provides for 100 percent deduction in respect of profit of cooperative society which provides assistance to its members engaged in primary agricultural activities. The benefit shall be available for a period of five years from the financial year 2018-19. Deduction of 30% is allowed in addition to the normal deduction of 100% in respect of emoluments paid to eligible new employees who have been employed for a minimum period of 240 days during the year. However, the minimum period of employment is relaxed to 150 days in the case of the apparel industry, the same has been extending to the footwear and leather industry. Manufacturers are often denied the deduction if an employee is employed in 1st year for a period of less than 240 days/150 days, but continues to remain employed for more than 240 days/150 days in the 2nd year. To overcome this difficulty, the requirement of a period of employment has been proposed to be relaxed. Now as per the proposed provision the deductions shall be allowed to the manufacturer in respect of an employee hired in 1st year if he continues to remain in employment in the current year(2nd year) for more than 240/150 days, as the case may be. At present, under section 80-JJAA of the Act, a deduction of 30% is allowed in addition to normal deduction of 100% in respect of emoluments paid to eligible new employees who have been employed for a minimum period of 240 days during the year. However, the minimum period of employment is relaxed to 150 days in the case of the apparel industry. In order to encourage the creation of new employment, it is proposed to extend this relaxation to the footwear and leather industry. Further, it is also proposed to rationalize this deduction of 30% by allowing the benefit for a new employee who is employed for less than the minimum period during the first year but continues to remain employed for the minimum period in the subsequent year.